Is your project ready for production? Are you still kicking a few ideas around? Do you need to budget for your next project? Whether you're still sketching on a napkin or have camera-ready art on disk, we can help with the next step. There can be many parts to a project. Please fill out as much as you can, but do not worry about leaving things blank. Just submit your project information to the best of your knowledge in the form below and we will contact you about any additional information needed. Thank you for the opportunity to work with you on your project! 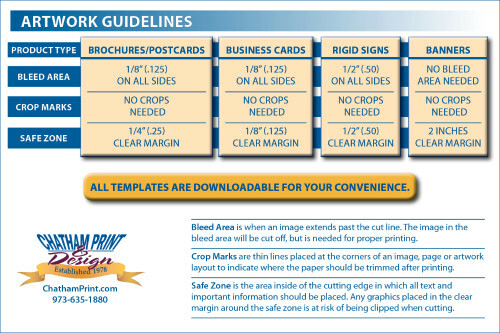 Click on the Artwork Guidelines image to view all templates. Is your due out date firm? Yes, I need it by this date. No, this is just about when I need it. Weight, color, coated or uncoated, brand, or any other information you know. For booklets, this is actual number of written pages (include blank pages), not number of sheets of paper. Will this project be mailed?